Kaunis Kuolematon is a band I’ve been ecstatic about for quite some time. The Finns have released two albums so far and both have been excellent. 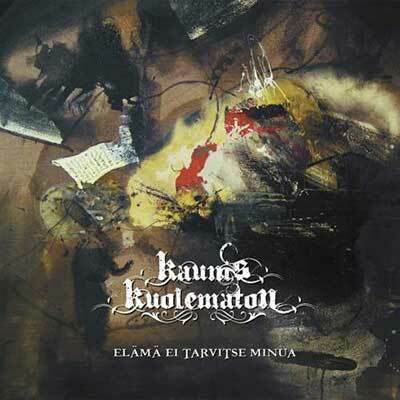 The Kaunis Kuolematon sound really hits the perfect spot for me; a mix between a very brutal take on death/doom metal and beautiful, tranquil melodicism complete with perfect clean vocals. There is just so much sincere feeling and atmosphere in the music that makes it go way beyond the expected moves of other bands in the doom metal genre. This EP continues on a similar path. Opener and title track “Elämä Ei Tarvitse Minua” starts on a beautiful acoustic note, similar to one-off single “Palava Maa”, before heading into familiar death/doom metal territory. It’s a bit more progressive and less immediate-sounding than usual; a fitting variation to their sound. The other three songs on the EP are more similar to earlier Kaunis material, especially single “Yön Tunteina”. It’s not a bad thing, because “Yön Tunteina” absolutely smokes. The song has the heavy Ghost Brigade-influenced grooves I like so much and wanders into fantastic clean vocal territory. Mikko Heikkilä’s clean vocals have always been a highlight for me, and there are plenty of them on here. The man has massive power in his voice, yet it still always has a gentle touch. Just like in previous Kaunis Kuolematon material, the clean vocal melodies are often the highlights of the songs. There is so much emotion in there that I found myself getting repeated music goosebumps, something that doesn’t happen that often anymore. The growls and extreme metal parts are also as good as ever. At times, I find myself headbanging as much as if I was listening to a pure death metal band. Olli Suvanto’s growls and screams are also some of the strongest in the business. He can deliver in all tempos with great depth, and he’s not afraid to switch up the low pitch vocals with some agonizing high screams. “Porteilla” is a song that differs a bit from the others. 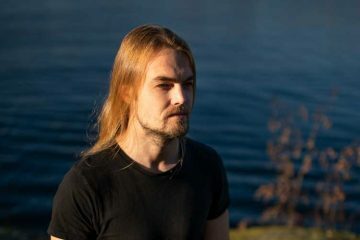 Mikko, who usually only does clean vocals in this band, takes free reign with his extreme vocals. It’s the most aggressive tune on the EP and a nice change of tempo from the more subtle and balanced opening track. 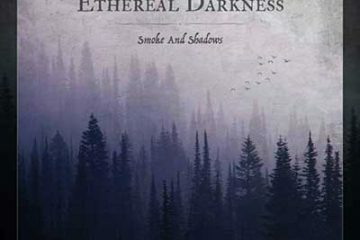 It also features some interesting ethereal keyboard work and start-stop guitars that remind me of Swedish melodeath masters Skyfire, of all bands. Another really good tune that shows that the band has plenty of musical tricks up its sleeve. The most important part is that the songwriting is once again strong enough to mold the extreme parts with the more melodic and emotional passages perfectly. Kaunis has a cohesive, mature and recognizable sound at all times. The mix and master also sounds really good again. It’s quite dynamic, allowing the band’s extreme side to really sound extreme while the atmospheric parts have a broad, deep feeling. While no individual song on here is as strong as “Pimeyden Valtakunta”, “En Ole Mitään” and “Tuhottu Elämä” (my holy trinity of Kaunis songs), all four songs are very even in quality. I’ve mostly listened to this EP in one stretch. It serves it well. The acoustic intro of the first song is my ultimate goosebump moment, but the whole EP just oozes quality and immense passion. The band hasn’t progressed dramatically, but the songwriting and atmosphere is strong enough to carry this release anyway. This is another impressive release in the Kaunis Kuolematon discography. Honestly, my main complaint is that it’s only an EP and that it ends too fast. I can’t get enough of this band’s sound, and as a fellow doom metal composer I find myself feeling jealous more than once. I’m just hoping for two things: for these guys to get even more attention so I get to see them live at some point, and for the next album to arrive as soon as possible. 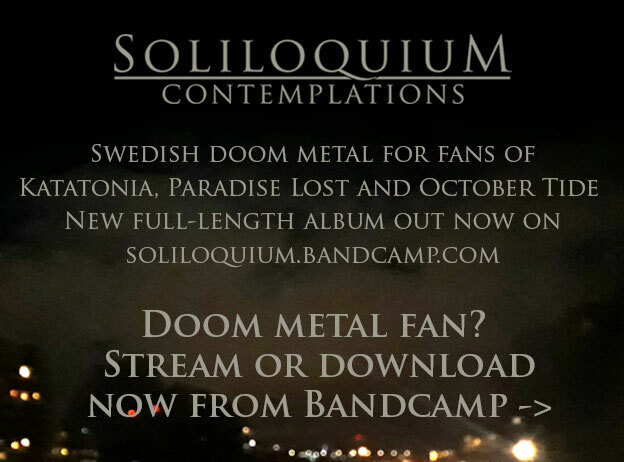 If you like doom metal, you need Kaunis Kuolematon in your playlist. Simple as that.